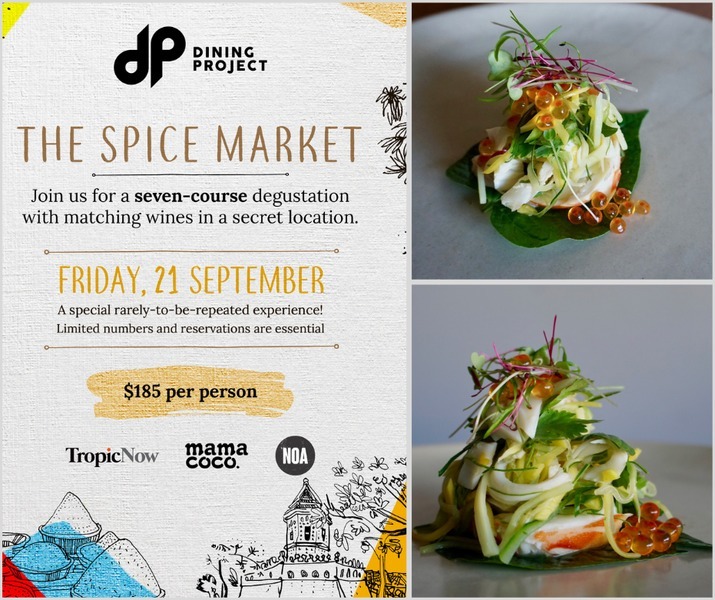 Those are the very first hints of the tantalising menu and event details for the Dining Project's inaugural pop-up dinner called The Spice Market on September 21. The unique collaboration between NOA, Mama Coco and TropicNow is the first-of-its-kind in Cairns. Chef Davy O'Rourke has created one of the most mouth-watering, elegant menus you'll see anywhere. "Our menu is inspired by the punchy flavours of Asian Cooking," Davy said. "It will take our guests on an adventure through the sensuous world of spice – refined textures and seductive aromas. "The first course to hit the table is grilled crayfish on betel leaf, with pickled mango, palm heart, salmon roe, toasted coconut and tamarind paste. This dish is designed to be eaten in one mouthful, a perfect harmony between sweet, sour, hot and salty. "With palates tantalized by the first offering, the menu will showcase the abundance of our region – mud crabs, tableland beef, tropical fruit, gorgeous market herbs and spices. "We are sourcing some luxe ingredients not readily available in Cairns like sea urchin to make it a one-off dining experience for the adventurous foodie. "Sam from NOA has hand selected the wines to bring the flavours of each dish and wine to the forefront. We will have two experienced sommeliers to guide and explain the wines to our guests throughout the evening."